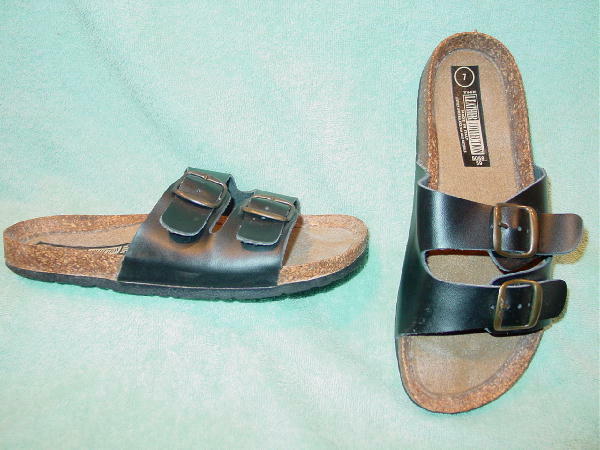 These black sandals have leather uppers and the balance is manmade. They were made in Italy by The Leather Collection. The two straps have antique brass color buckles. The tag says size 7. The leather has some wrinkles. They're from a stylist's inventory, and were worn once, in a photo shoot.